Ubisoft finally pulled back the curtain on Rainbow 6: Patriots this week, revealing that the new installment in its tactical first-person shooter series will be coming to Xbox 360, PlayStation 3 and Windows platforms in 2013. The Tom Clancy-branded shooter hasn’t been seen since 2008’s Rainbow Six: Vegas 2, a game that came just a year after the first Vegas. Patriots focuses, as you might expect, on the rising presence of terrorism in our world. A newly released “gameplay target” trailer (above) speaks directly to that, and in a very raw sort of way. The video isn’t gory, but take care if you’re at all squeamish. It’s more than mildly disturbing. 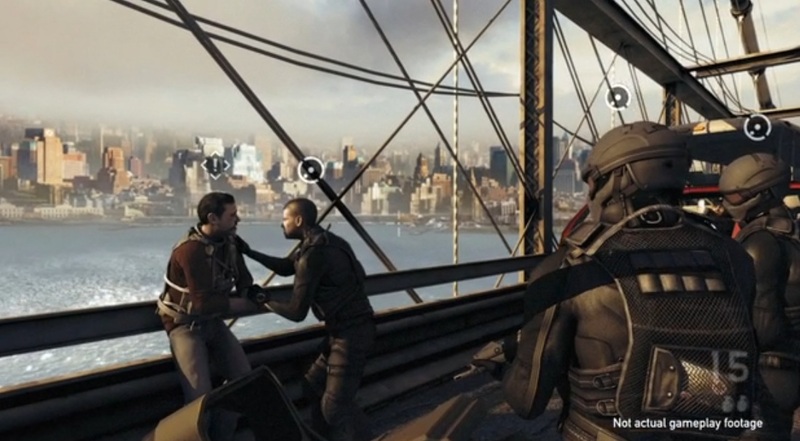 The game will pit Team Rainbow against the True Patriots, which the press release describes as “a highly-trained, well-organized revolutionary group that claim the American government is irrevocably corrupted by greedy politicians and corporate special interests.” Players will be faced with making “tough ethical decisions,” a fact that is demonstrated clearly enough in the target gameplay footage. Confirmed for Patriots is, as you’d expects, a single-player campaign, competitive multiplayer and co-op. There’s vague mention of “new features that enhance communications and tactical execution between teammates,” but no specifics are offered. Kinect support in some form seems like a given, however. You’ll get more details in Game Informer’s December 2011 issues, which hits newsstands this month. Still looking for PSP games? Here are our top 10 picks!